If you’re a car enthusiast or are interested in learning more about cars, you’ve come to the right place. 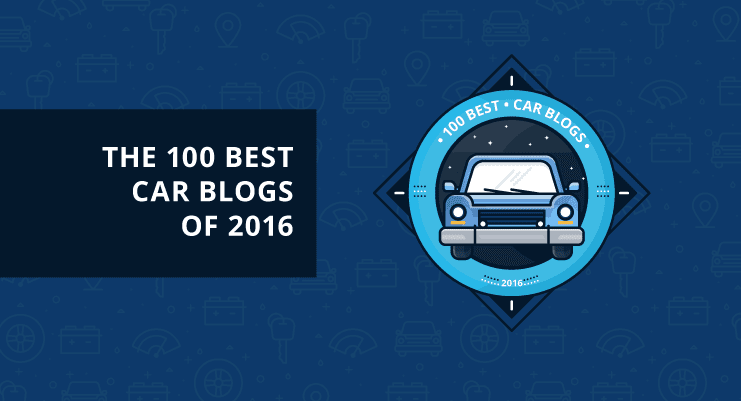 Washos presents The 100 Best Car Blogs 2016, which are listed in no particular order. 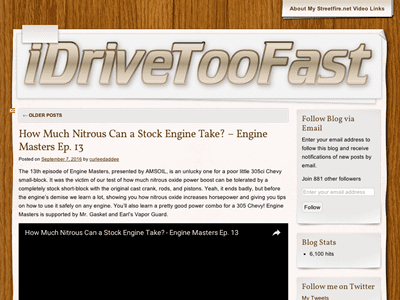 There are hundreds of car blogs out there that cover everything you’ve ever wanted to know about cars and more! 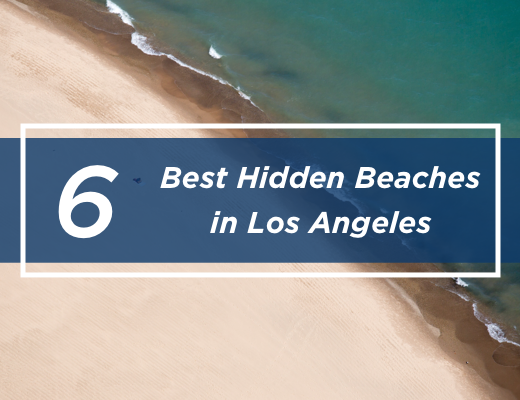 We’ve sorted through them all and these are the best of the best! We have a wide range of categories, from brand specific car blogs, car research blogs, green car blogs and car new and review blogs. We have tried to include blogs of all sizes to create a well-balanced list. 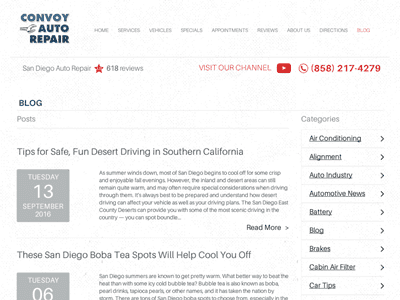 We cover everything from the extremely popular Jalopnik to the awesome car repair tips at MyAutoRepairAdvice. 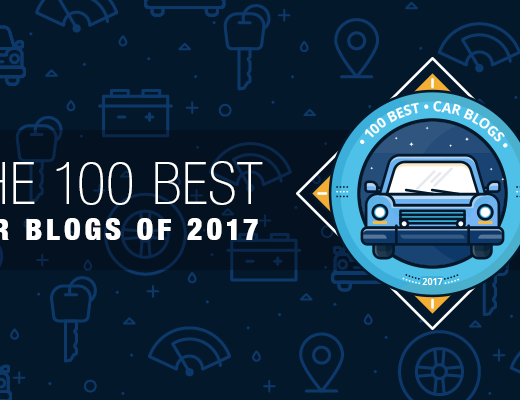 UPDATE: We have released a 2017 version of the 100 Best Car Blogs. These car blogs are dedicated to specific automative brands and car, ranging from BMW to Mercedes. 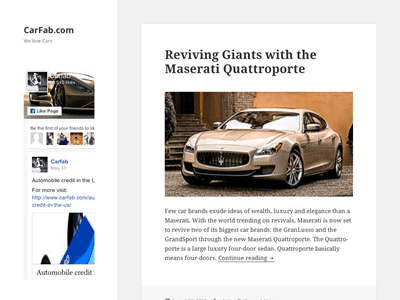 Some blogs cover car companies from a certain region, while others are solely for a single car like the Fiat 500. If you’re looking to learn how to care for, repair or maintain your car then look no further than these awesome car blogs. Perfect for someone looking to learn more about their car. These impressive blogs cover the latest car news, automotive trends, car reviews and a ton more. You can think of this as more of a general car blog category that cover a variety or car-related topics. We’ve included blogs that offer honest advice about buying an used or new car. 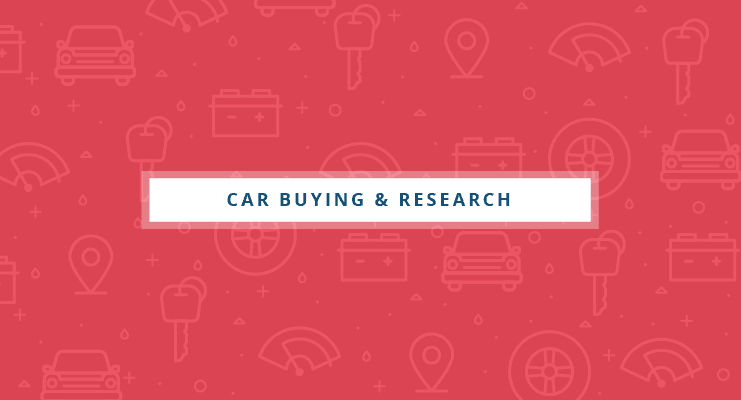 Many of these sites may be familiar to car enthusiasts but nevertheless are great resources for someone looking to buy or sell their car. We found some eye-opening car blogs created by students at MIT and Stanford who are documenting their solar car project. 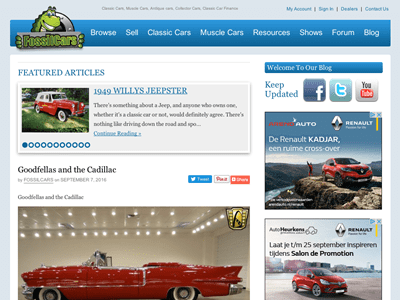 We’ve also included some influential classic car blogs, which maybe overlooked by newer car enthusiasts. We couldn’t quite fit these car blogs into any categories, but are still amazing resources. From an addictive celebrity car blog to exotic cars and connected cars, each of these blogs is quite unique in the topic it covers. 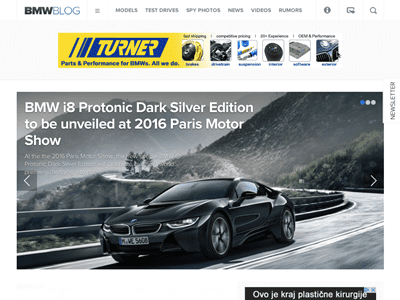 BMW Blog is exactly what it says: a blog dedicated to everything BMW. Here you will find news about BMW: new cars, company changes, news about races, and cool articles and videos. 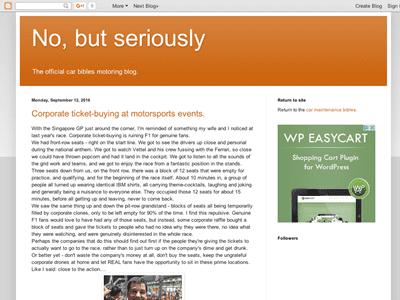 If you’re a fan of BMW, you cannot miss this impressive blog. 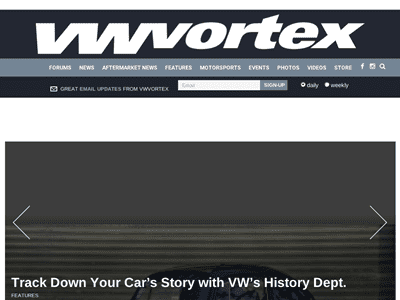 VW Vortex is a blog about Volkswagen cars. If you’re interested in finding out the company’s fascinating history check our their excellent videos. You can read some of the latest news about Volkswagen, VW enthusiast events or take a look at their activity in motorsports. Here you can also find neat tips and tricks on everything related to VWs. Hyundai, Kia, Genesis. If these names mean anything to you, it means you are most likely passionate about Korean cars, in which case this blog is right up your alley. 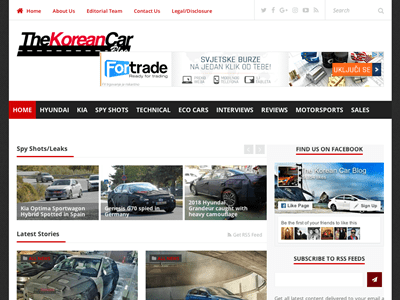 Co-founded by car enthusiasts Erick Uceda and Jose Antonio Lopez, at The Korean Car Blog you can find all the news, secret spy shots, interviews and reviews regarding Korean cars. Are you a Chevrolet fan or owner? If yes, then you’re in luck. This blog is entirely dedicated to you, the Chevrolet enthusiast. The Super Chevy blog contains informative articles, how tos, Chevrolet events, as well as news about the brand, and features of interesting cars. 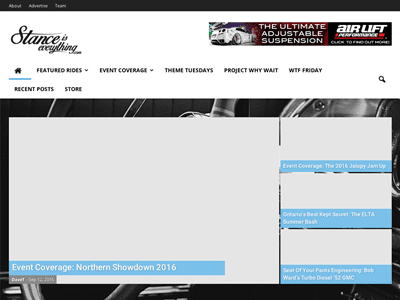 This car blog self described as The Ultimate Source for Mustang News and Reviews is all about Mustangs. Here you can find all the important news about the Mustang brand, its history and events. This blog will fulfill your passion for Mustangs unlike any other car blog on the internet. Another blog for the BMW enthusiasts, this site is focused on the cars of the brand. Bimmerpost was started by two friends, Mark and Jason, who were really passionate about the BMW 3 series. The site has since grown to include the entire line up. On Bimmerpost, you will find all the important information regarding BMW cars, including car reviews and videos about the cars. 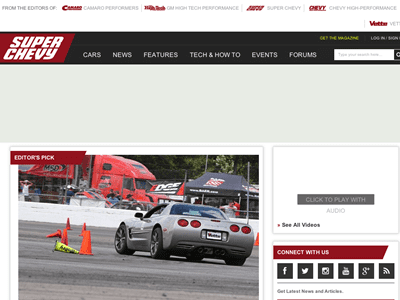 Corvette Blogger is a cool car blog dedicated entirely to the Corvette. 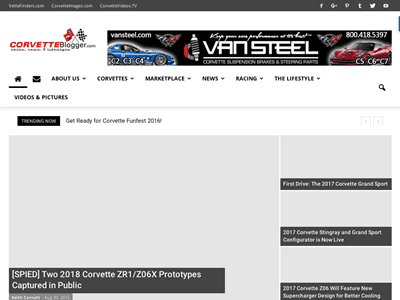 Keith Cornett, the senior editor, of the blog does a fantastic job talking about everything related to the Corvette: news, cars, events, and the Corvette lifestyle. 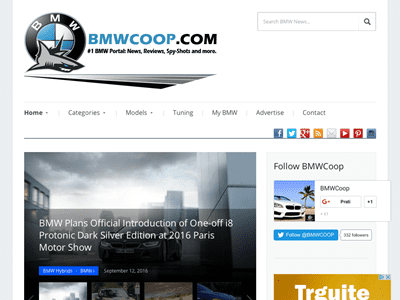 BMWCoop is another cool BMW blog that you don’t want to miss. This blog has about two dozen different categories you can choose from, including a category dedicated to Rolls Royce. You can also sort the articles by model, allowing you to find information about the desired car quickly, and there’s a section dedicated to tuning your BMW. 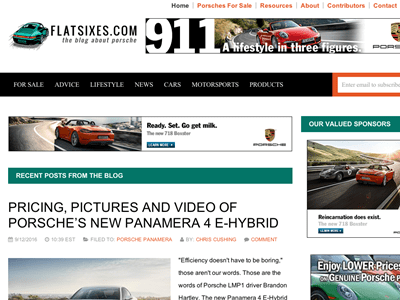 An awesome Porsche blog, where you can you not only find news articles about the brand and interesting articles, but also buying guides and great car listings. If you’re looking to buy a Porsche or if you’re just a fan, you have to give this site a visit. 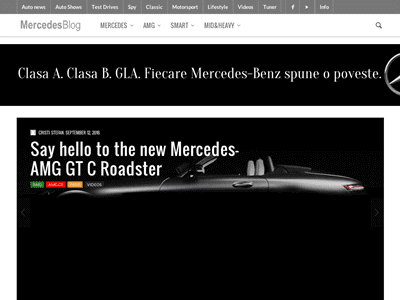 Mercedes Benz is a historic company when it comes to cars, and the MercedesBlog carries that name proudly. This blog stands as proof of the quality of the company. The site has sections for each Mercedes model, so rest assured you’ll find all the information you are looking for and more. Find Mercedes spy photos, classic cars and news. 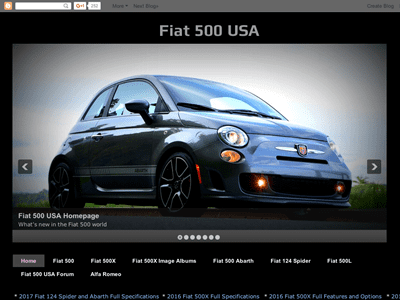 Fiat 500 USA is one of the sites you’ll enjoy reading and watching alike. There are tons of articles and videos dedicated to the Fiat 500. News, informative articles, sections for the different Fiat 500 models and years. You can also join the discussion on the forums, where you’ll interact with other enthusiasts. Nick Roshon is a car enthusiast that writes about all the different types of cars and products created by Audi. 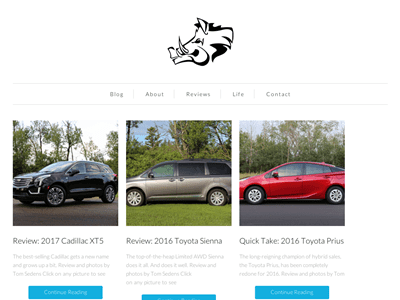 On Nick’s Car Blog you’ll find car reviews that offer unbeatable in depth analysis. Nick also showcases some awesome car tips and an Audi car buying guide. Subcompact Culture is a blog dedicated to small cars such as the subcompacts and the compacts. No matter the brand, Andy Lilienthal treats them with the same respect. 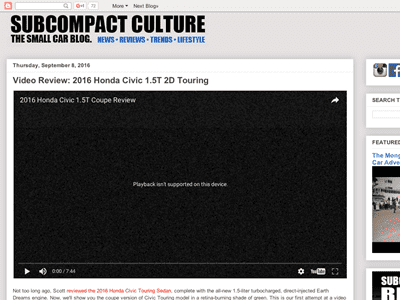 If you couldn’t find a blog dedicated to your compact car before, now you have one. 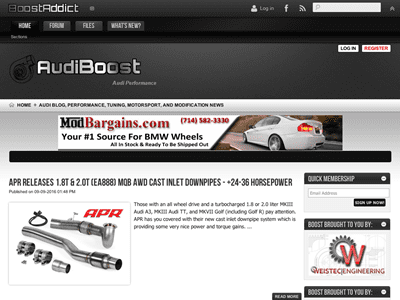 A blog created for and by Audi enthusiasts, at AudiBoost you can find useful information like reviews, news, performance modifications tips and guides. Is there a new Audi you want to see a review of? This is the place. Additionally, there is useful forum if you have any questions or would like to join the discussion. The Bentley is a strong luxury brand with excellent cars. Even though the price keeps it out of the reach for most people, the brand has a strong following. Keep up to date with The Bentley World, a blog dedicated to Bentleys. It is feature rich, with all sorts of news, pictures, videos about Bentley cars. You want to care for you car. You want to maintain your car in pristine condition for as long as possible. 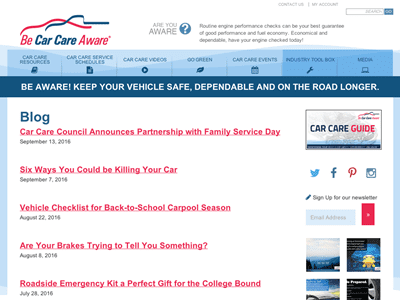 The Be Car Care Aware Blog was created to help car owners maintain their cars in top condition for as long as possible. The website is divided into many sections, from events related to caring about your car to videos helping you do it. 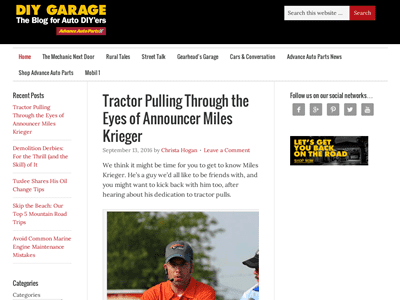 The DIY Garage blog is for the car enthusiast. Here you will learn how to create your own demolition derby cars or how to modify your day-to-day car to bring it to maximum power. Of course, there is news about brand cars as well, so this website can be considered a one-stop-shop for news and tutorials on fixing and improving your car. 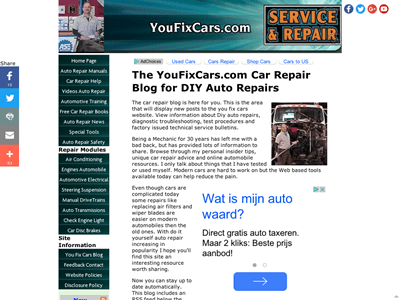 The YourMechanic blog aims to teach car owners all about their cars and how to care for them. Here you can find posts on how does warranty work or how to troubleshoot your car if something goes wrong. On the Openbay Overdrive Blog, mechanics are often asked to guest post on the blog to provide their insight on repairing your cars. There are many posts for you to read in order to make the right choice regarding your car: repair at home or take to a shop? If you are having any sort of car problems or you just want to be preventive, reading this blog should be on your to-do list. Take care of your car parts. This is the message KnowYourParts tries to send. This blog will teach you all about your car parts, so diagnosing problems and fixing them will become a breeze. This website also covers news related to car parts, so this is your go-to blog for anything related to car parts. 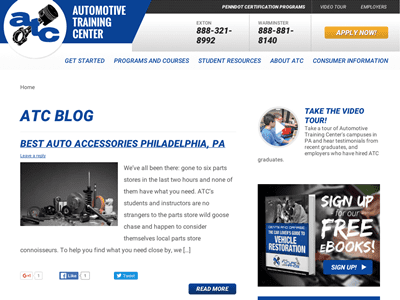 Car parts, cleaning your car, tips on going on long trips – Automotive Training Center Blog has them all. Not only do they offer tons of great information for free on their website, here you can also find some educational ebooks about caring for your cars. Insider tips and tricks regarding everything about your car. Top mechanics give their advice for free on the Oil Can Henry’s in order to help as many drivers maintain a good relationship with their car. 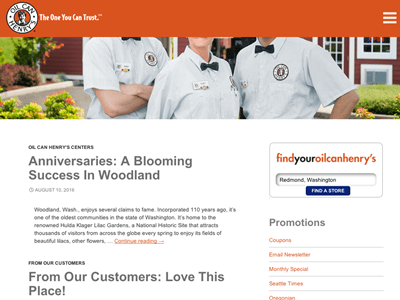 Their services are undeniably good and so is their blog. A website from the authors of the Auto Upkeep workbook, this blog teaches you all about how to diagnose problems in your car and fix them. Get tips from an industry expert with years of experience. Michael Gray has done a great job putting technical terms into easy to understand language. 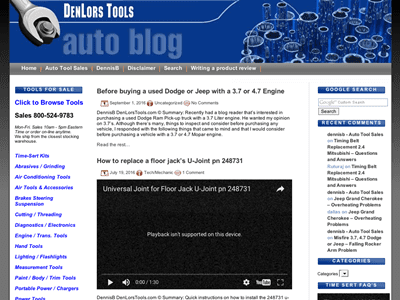 Denlors Auto Blog is another awesome blog about car parts and how to fix them. This blog will help you understand the differences in different pieces and how to fix them all properly. There is certainly some gold to be found on this website, so I’d recommend you take a look even though your car is in good shape. 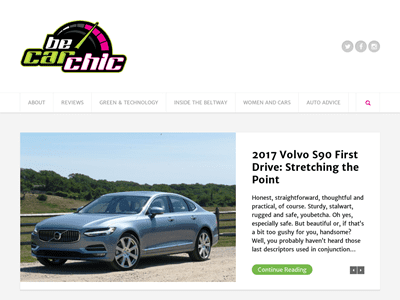 The Girls Auto Clinic blog was created with the purpose of helping women everywhere understand cars better and make more informed decisions about their cars. Patrice Banks wanted to help everyone understand how a car works and how you should take care of it. The site’s main intended audience is women but has grown to include everyone. 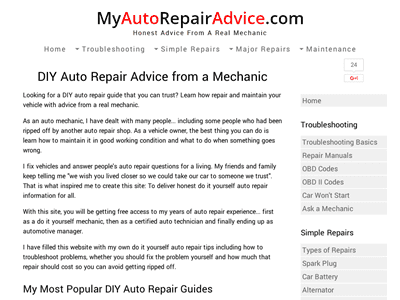 On My Auto Repair Advice you can learn how to handle your car just like a mechanic. 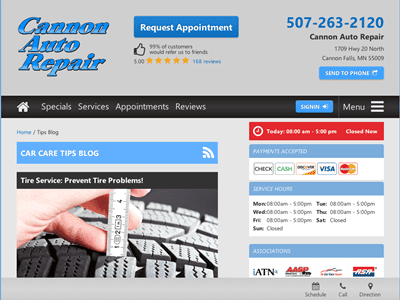 The website has numerous helpful guides related to car repairs, including advice on whether or not to send the car to a mechanic and how to diagnose your car’s problems. 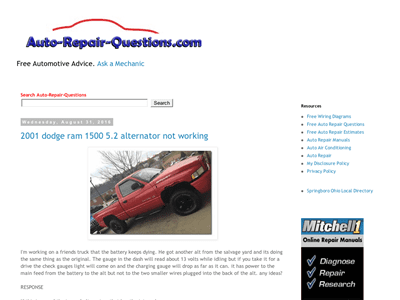 On the site you can also find advice on how to avoid being scammed by repair shops and how to resolve numerous car issues. Learning how to deal with broken parts can be just as important as caring for your car overall. If you know something is wrong, but you are not sure how to diagnose the problem because it’s in a part of the car you know little about, this site can help you out. It’s not all about how bad the part looks, it’s also about how the part sounds, and this blog will teach you how to identify problems before your car breaks down. 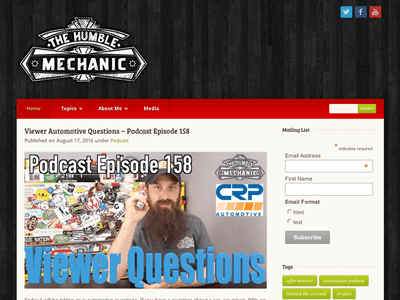 The Humble Mechanic is an informative site with a ton of content. Charles has done a super job explaining everything about cars. He also has a podcast in which he answers viewers’ questions. So if you are having trouble understanding how to do a certain thing or you are in uncertainty regarding which part to buy for your car, you can ask him directly and he will respond. 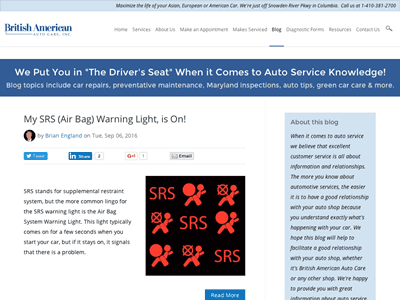 On the British American Auto Care Blog, you can browse through topics on car repairs, tips, preventative maintenance and much more. You’ll find tons of substantial information on everything related to car problems, with all the advice coming from experts with years of experience. 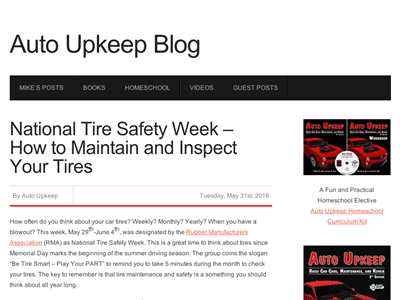 The blog’s goal is to educate the customer so they can build a good relationship with their auto shop. The Car Bibles blog offers thorough advice on how to take care of your car, but also covers numerous automotive events and there are informational articles that are also entertaining to read, making reading this blog a great experience. 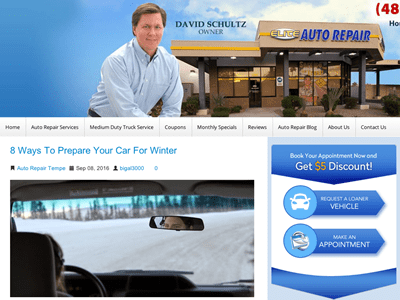 Do you know how to take care of your car during the winter? Do you want to learn more about how your car works? Do you want to learn more about car maintenance and repair in general? Elite Auto Repairs’s David Schultz covers all this and much more. Convoy Auto Repair is an automotive repair shop in San Diego. 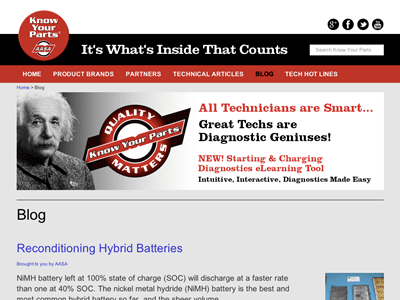 Their website’s blog offers information on many topics, such as green energy, car tips and life in San Diego. There are informative lists and great articles on everything related to car repair, maintenance and care. 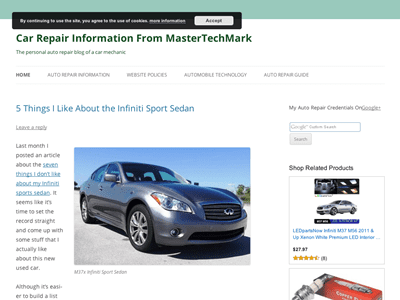 MasterTechMark is a blog created by Mark Gittelman, which focuses on cars as a whole. There are tons of reviews, car repair tips and in-depth written for a wider audience. If you want to learn how to replace a car battery or what to pay for car repairs, this is where you should look. 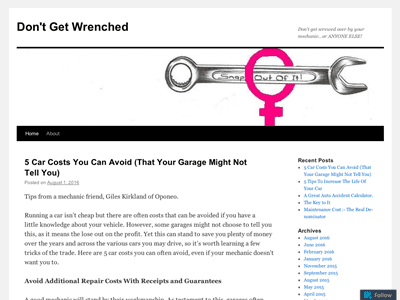 Don’t Get Wrenched is an unique car blog, whose sole goal is to help women navigate the world of auto repair. The author, Elayne Klingt, is highly knowledgeable about car repair and owned a repair shop for 25 years. She really wants her customers and readers to make informed decisions. 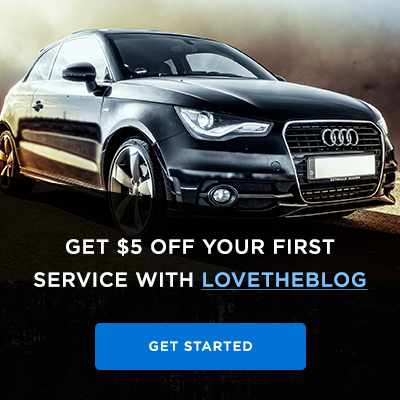 Another professional website dedicated to helping every proud owner of a car, Steward Automotive Repair blog was created to give free advice right from the mechanics that are fixing your car. 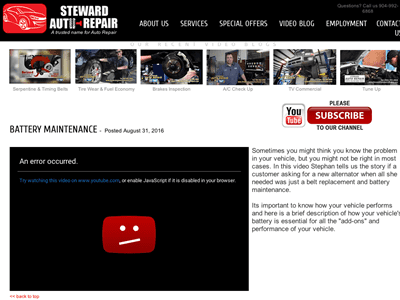 They also have lots of videos that you can follow along to fix problems or learn about how things work inside your car. You most likely have a few questions unanswered about your car and what is wrong with it. Why not go directly to the source and ask an expert mechanic? This is what this website proposes to do: post your question and a mechanic will help you solve your issues. 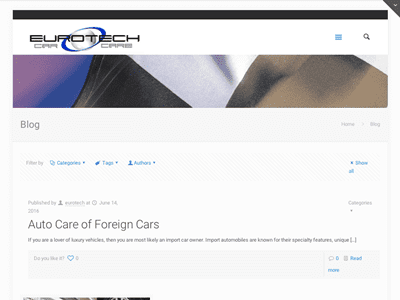 The Eurotech Car Care blog has tons of posts on the different types of cars, articles on choosing a certain car model, and maintaining your car. You’ll always learn something new about cars reading through their posts. A fantastic source of informative automobile articles: here you can get specialized advice free of charge. 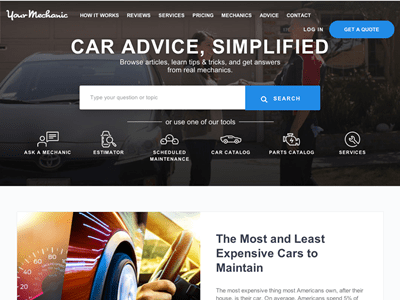 The articles touch on a variety of topics, ranging from the usual articles about repairing your car to tips on how and when to change or oil or what to do in tricky situations. You want to maintain your car as long as possible.This is why Protect My Car was created. 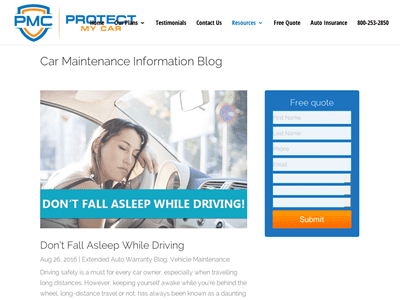 The website features articles on security and safety, it offers tips and tricks on how to protect your car better and it teaches you what you need to know to make informed decisions when taking your car to a mechanic. 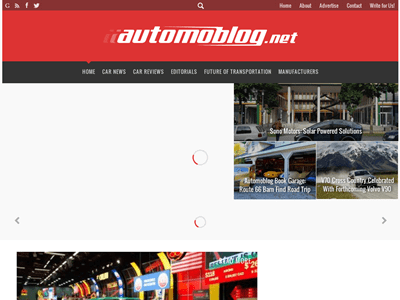 Autoblog is one of the best and most famous car blogs online. 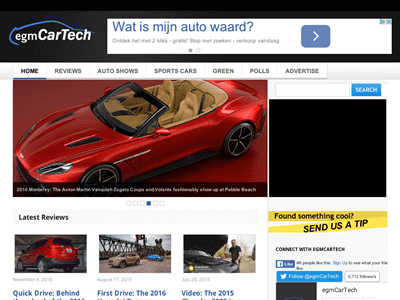 They have cool car features, in-depth reviews, and cover breaking news from the automotive industry. This is a one stop shop for all things related to cars. 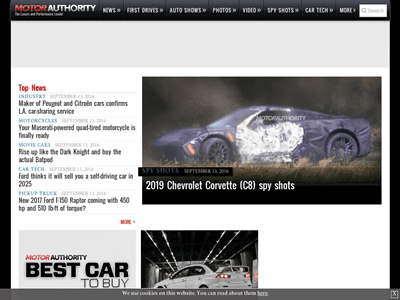 Jalopnik is probably one of the most popular car blogs. 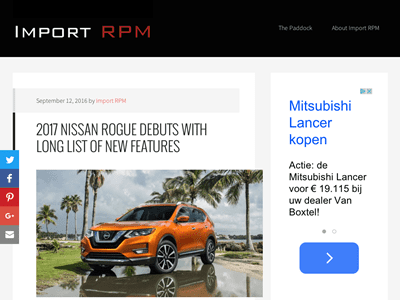 Here you can find articles about the newest cars and the most exciting news in the automotive industry. You’ll also find articles about what accessories suit you as a driver and general advice on how to improve your driving experience. Do you want to know what’s trending in the automotive industry? 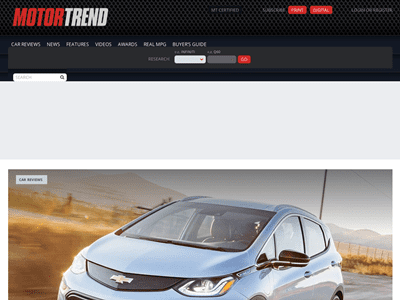 On Motor Trend, you can find information on the newest cars on the market, from the the excellent electricity-powered Teslas to the Nissans and BMWs. 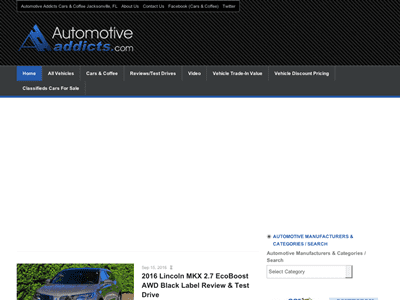 As a car enthusiast, you should not miss this website. Motorsports, classic cars, modern cars, Autoweek has them all. There are car reviews for you to read, but there are also news from motorsports or just articles on classic cars. If you want to read about NASCAR, the best cars of the last century, or about anything else related to cars, this is the website for you. 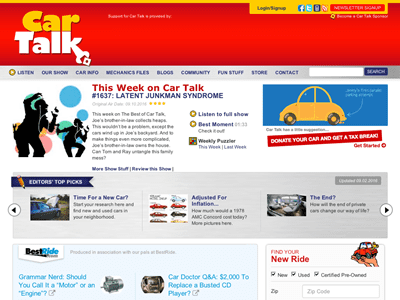 Car Talk has everything: informative articles, podcasts, ways to research a car model, ways to buy a new car. The main feature of the site are the podcasts, which are always fun to listen. Classic cars, new cars… The difference is intangible. They are all cars and they should see the same amount of love. This is what the creators of the website are trying to achieve: awareness and love for new and old cars alike. The site is filled with tons of spy shots of upcoming car models. 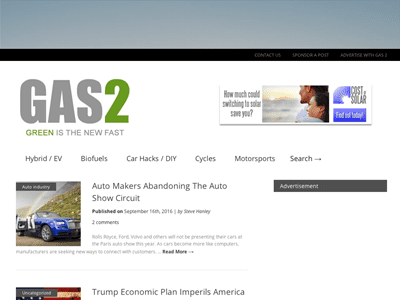 Car Gurus has an awesome blog where you can check out the latest tips and tricks on the automotive industry. 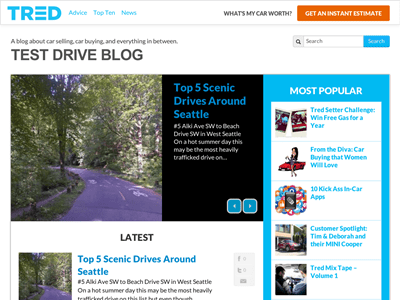 The site also covers news and offers informational posts for car owners. 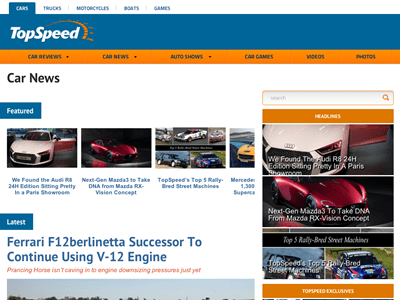 TopSpeed is a professional website all about cars. 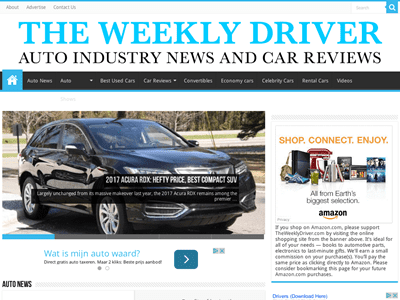 You can find the most interesting news from the car industry, as well as showcases of soon-to-be-released cars and reviews of the latest cars. 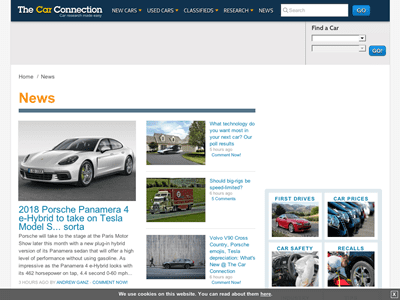 There are also articles about new car parts and advancements in the industry. Not all news is bright, but all news deserves coverage. The guys at The Truth About Cars know this and talk about everything happening in the car industry without any restraints. You can find auto reviews, news, advice and much more. Tips, tricks, deals and blog posts. This is what the TrueCar blog is all about. 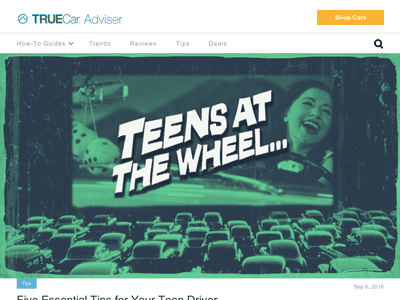 TrueCar Adviser is one of those great websites created to help their audience as much as possible. Their How-To guides are very well made and definitely worth looking at if you’re in the market to buy or sell your car. 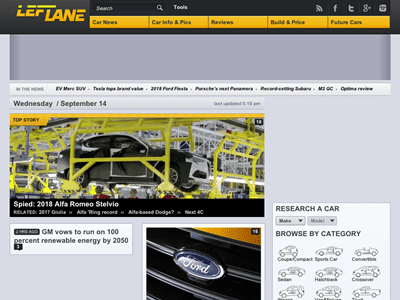 LeftLane is one of the best car blogs when it comes to the latest car news. Are you looking for news on the newest cars on the market? Or maybe about what your favorite car brand is planning next? LeftLane has got you covered. 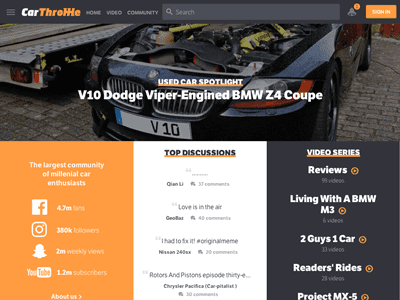 Car Throttle was created by Adnan Ebrahim with the goal of bringing car enthusiasts together. 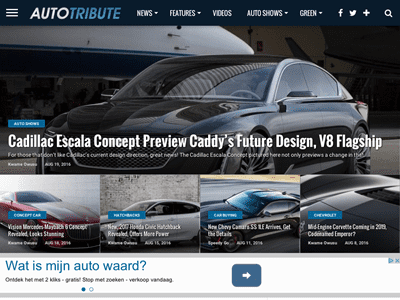 On the site you can find news and car videos. Additionally, there is an app you can download to read them on-the-go. The website also has a community section where the readers can join in on the discussion. 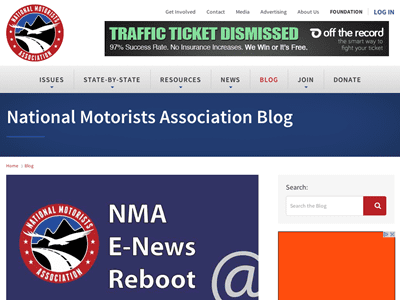 The National Motorists Association Blog deals with laws and issues related to driving. They discuss new laws, impact of connected cars, traffic tickets, red light tickets and much more. A great resource to learn more about driving laws around the country. 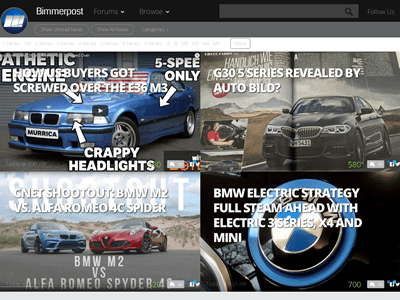 Cartype is one of most unique car blogs out there. It is dedicated to the history of automobiles and brands. You can view marketing brochures for certain cars or just take a look at how certain logos have evolved. The site also features collections of emblems, design features and histories of car companies. On the egmCarTech website, you can find an impressive collection of news and spy shots of soon-to-be-released cars. You can also find car reviews and news about auto shows here as well. 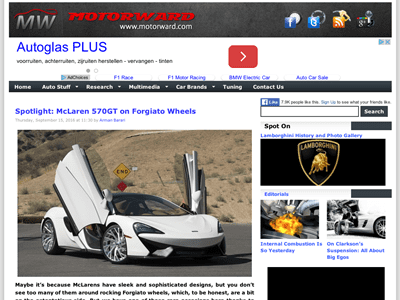 Motorward is a place for research, car news and auto parts. They even have a section dedicated to tuning, in case you want that extra power. They also have spy shots and great stories to read. 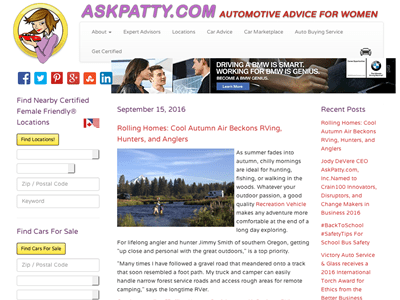 Ask Patty brands itself as “automotive advice for women.” The site was created to offer expert automotive advice and research for auto dealers, tire dealers, collision centers, auto service and repair centers. The blog features tons of pages full of automotive advice, with responses to readers’ questions. 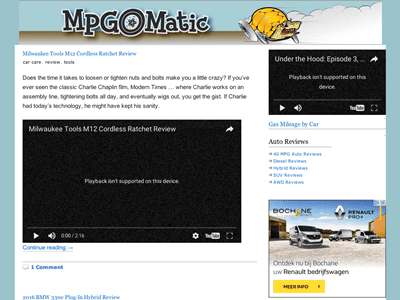 Automotive Addicts was created by Malcolm Hogan for car fanatics of all kinds of cars. Since then, the site has grown immensely to become one of the best car blogs for car news, reviews and research about buying cars. Car news travel fast, and the team from Automoblog want to make sure you get to hear them as well. 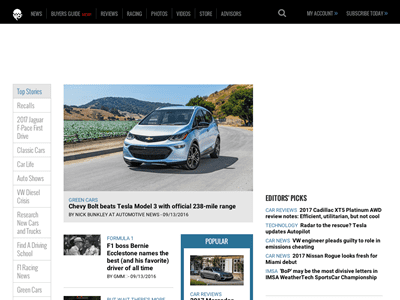 If you’re not in the mood for news, you can read some car reviews or maybe take a look at an editorial. You can also extensively read about the future of transportation. 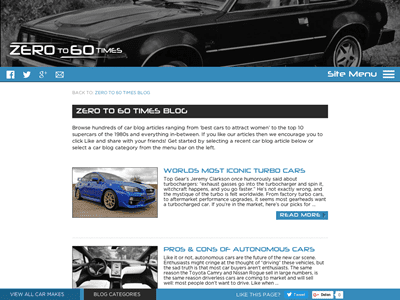 The Zero to 60 Times Car Blog features car comparisons, lists, reviews, and much more. But the blog is not the only attraction of the site: this is also a research site. You just have to select the model you want and the website will take care of the rest. The site is all about fast cars, so you are guaranteed t get a rush of adrenaline just by reading it. 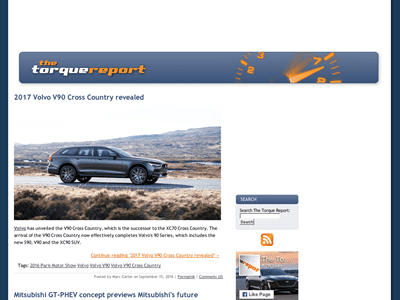 The Torque Report keeps you informed about new car launches in the automotive industry so you always know when something interesting happens. You can easily keep up with new models, release dates, expected features and prices. The Automotor blog is filled with spy shots and the latest car news, which are the main attractions of the site. They also have cool galleries of the newest car models, as well as videos on some of the most interesting cars. Stance Is Everything is one of the most unique car blogs. Their posts are easy to read and sometimes quite funny. They cover car events and also weekly themed posts like WTF Friday and Theme Tuesdays. 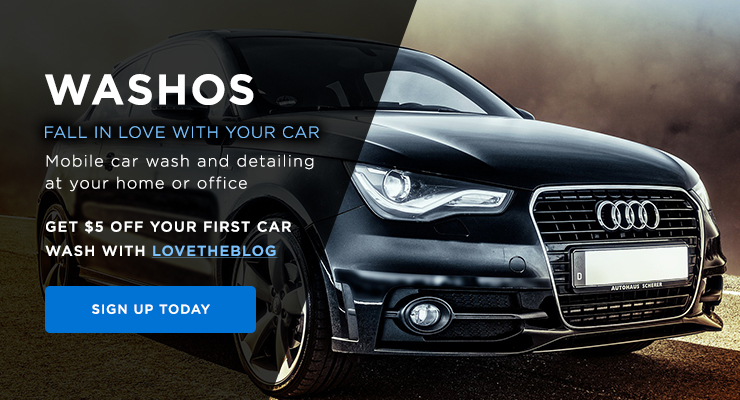 The Briggs Auto Car Blog is a great website created by passionate and highly-experienced people from the dealership side of the industry. 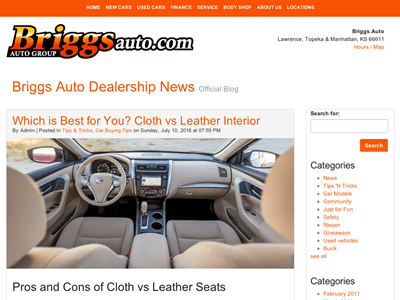 Their blog discusses news from the auto industry, the latest regulations and auto shows coverage. 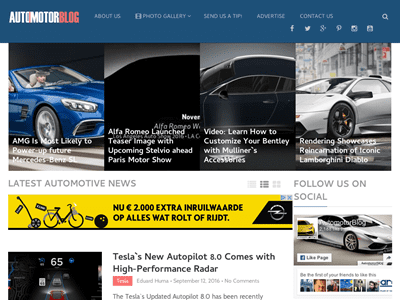 The German Car Blog is a blog created by enthusiasts, for enthusiasts and have been covering cars since 2005. 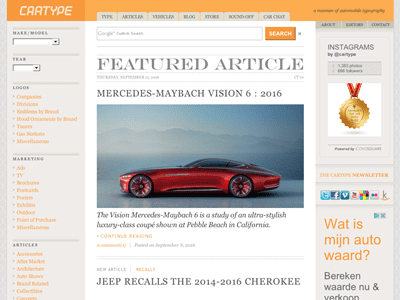 They curate news from European car brands like Audi, Bentley, BMW, Porsche, Mercedes and much more! A perfect blog for someone particularly interested in European cars. 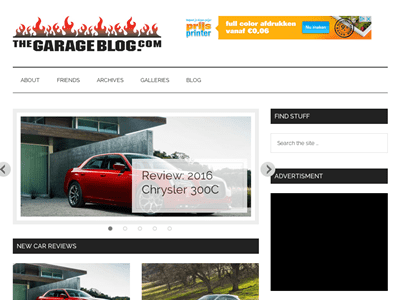 The Garage Blog is a car blog where you will find news, reviews and other interesting posts about cars. They also post about professional car racing like car rally competitions. 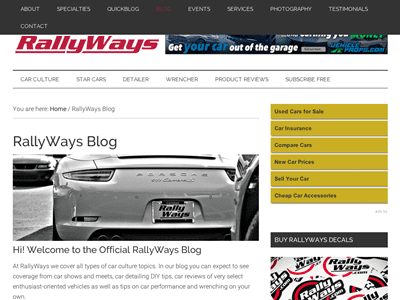 Rallyways is a car enthusiast blog which publishes original car photography. Their instagram page is packed with awesome shots that you cannot miss out on. They cover all types of cars on their blog: American, European, exotic cars etc. Daniel Gray of MPGOMatic does a fantastic job writing articles for his site. He posts video reviews that complement each post perfectly. Be sure to check out the Gas Mileage Calculator where you can compare how much money you’d save with your new car. 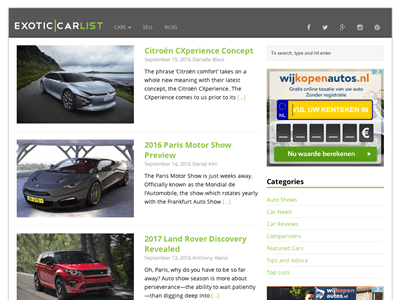 CarFab is packed with informative posts, including useful tips on driving and entertaining lists for you to read. From different way you can modify your car while remaining “classy” to learning what kind of tires you should be using for what season, CarFab has you covered. 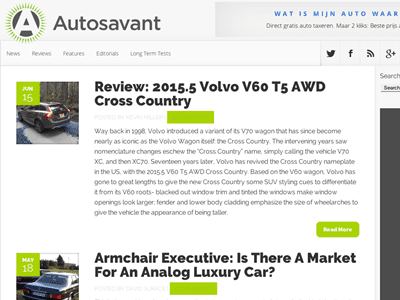 The most unique feature about Autosavant is a type of post they call Armchair Executive. The writers post an article with a question and you have to answer that question according to what you believe is right. It is a great way to have a discussion and learn about cars. Kwame Owusu has done a great job making Auto Tribute look so good. As soon as you enter you are greeted by the latest news in the automotive industry. As if that wasn’t enough, there are excellent videos and interesting features on auto shows and green/eco-friendly cars. 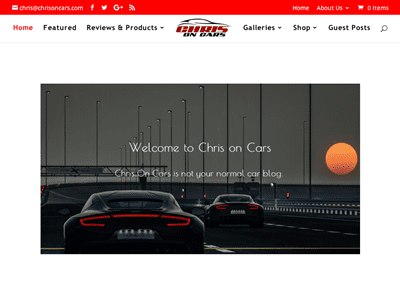 Chris, from the ChrisOnCars website, covers all the types of cars, from the classic ones to the newest supercars. He posts reviews and news. Be sure to check out his Dream Garage and think about which cars you would buy if you had a million dollars to spend. Wildsau is focused on reviews and features of the newest cars, but Tom Sedens also does awesome car reviews with original photography. They are quite detailed. You can learn a lot about the newest cars on the market. Be Car Chic is an automotive blog started by Melanie Batenchuk. The posts range from reviews of green cars to a category dedicated to women and cars. On this blog you can also find special features called “How I Drive,” where different people from the automotive industry talk about themselves and their own personal quirks. Import RPM is all about imported cars from Japanese cars like Honda and Toyota to the European brands like BMW and VW. 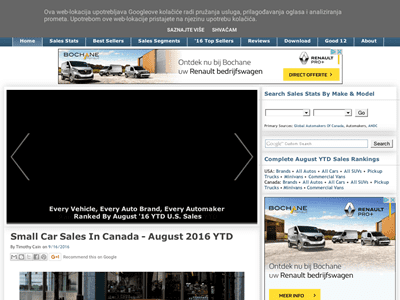 Here you can find reviews of the latest cars on the market, as well as news on everything car related. Are you a car fanatic? 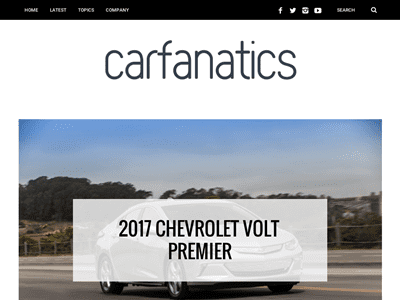 The Carfanatics blog is all about news and showcasing the latest cars, sometimes through video and sometimes through articles. 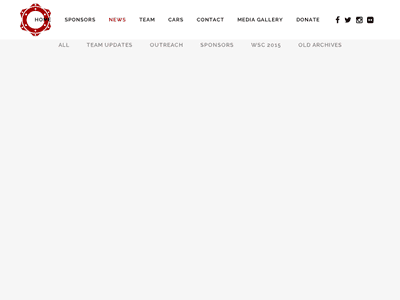 They also have a forum where you can discuss with fellow car enthusiasts. 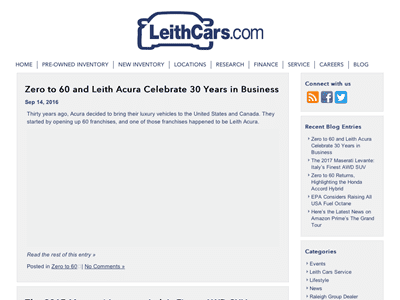 LeithCars Blog is not so much about the cars as much it is about the drivers. It is packed full of great advice for the drivers who find themselves in tricky situations and about news directly affecting the drivers, such as price changes in gas or law changes. The Ultimate Car blog aims to be the ultimate original car blog with the hottest car news, reviews, test drives, auto shows and everything in between. They also offer advice on how to tune your car from leading experts from the auto industry. I Drive Too Fast is a blog about motorsport and getting a rush of adrenaline from driving. 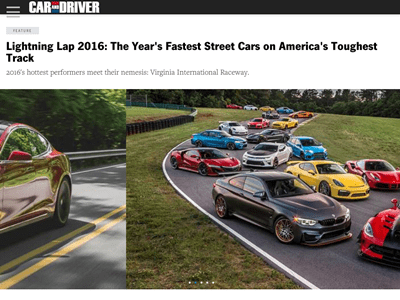 This blog covers everything related to speed, from street races, circuit laps and competitive rallys. This blog will definitely get your heart racing. Do you like exotic cars and super cars? 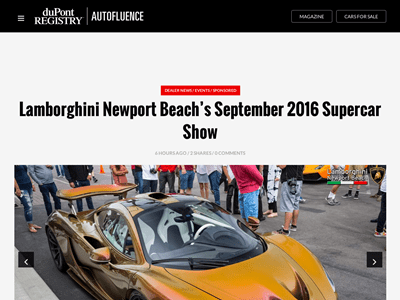 Then Autoinfluence is one of the best car blogs for you. They almost solely cover super and luxury cars. It is packed with great features and posts that will keep you adding these cars to your dream car list. 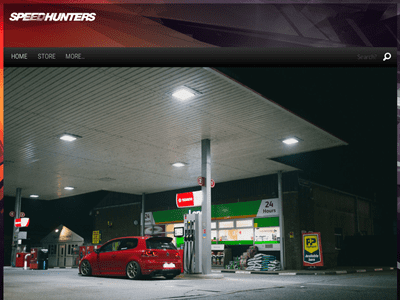 Speedhunters is a superb combination of journalistic articles and great photography. The posts are engaging, they look beautiful, and urge you to keep reading more. 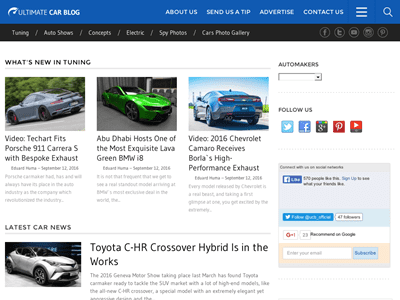 They cover car news, events and car reviews. 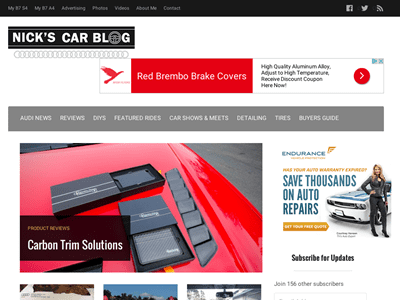 The Car and Driver blog is exactly what it says: a blog dedicated to cars and drivers. This is one of the most popular car blogs on the internet, and if you are looking to research a certain vehicle, you definitely want to visit Car and Driver. They also complement the reviews with news and a buyers guide. 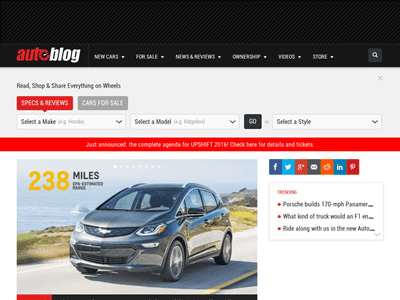 The Motorlogy blog posts about car news and cool tips and tricks like how to prepare for your first car auction and how to find the right car loan. 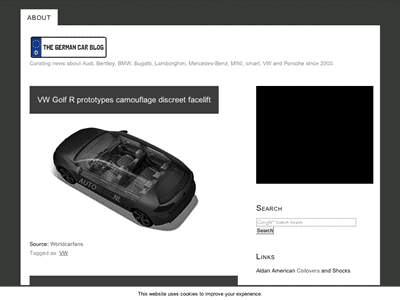 They also focus on car models but largely post informative content on guides related to cars. 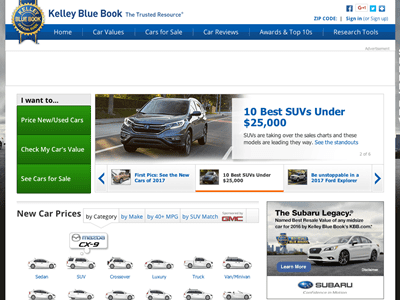 Kelley Blue Book, also known as KBB, is one of the most trusted car research websites. You can see the recommended car prices and find out about the best cars on the market, and when you decide to purchase your car, you can read their expert reviews for a better understanding of your desired car. This is not a car blog but we felt it added great value to the list. Another fantastic car review website, here you can find information on pretty much any car you can think of. Read opinions from expert critics and the individuals alike to decide whether or not a certain car is for perfect you. 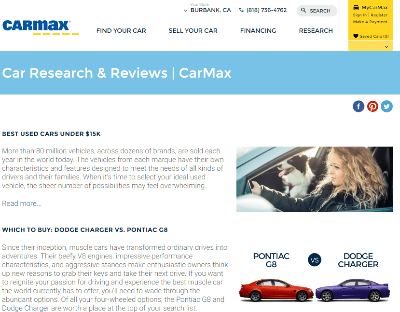 The critics do an excellent job reviewing the cars so you can find all the relevant information in one place. Good Car Bad Car is research website dedicated to you, the car enthusiast. If you are looking to buy a new car, you should definitely check this site out. They monitor the sales ranking of numerous cars so you can see the best selling cars in each class. including head to head vehicle comparisons, reasons to buy specific makes and models, and lifestyle oriented pieces for your specific individual needs. 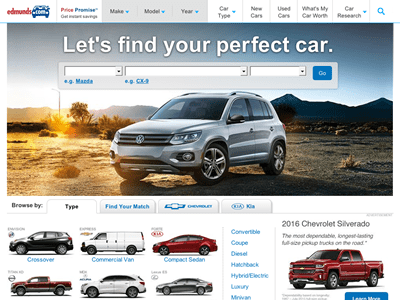 While not a car blog, this is one of the best car websites you can use to research cars. You can see the prices for new and used cars and make an educated choice on what you want to purchase when the time comes. Definitely come here if you’re researching a new car. Hemmings Daily is a car blog all about classic cars that you can’t miss. You can find information on all the classic cars, no matter if they were compact or they were large trucks, or if they were used for racing or for day to day activities. This website is a goldmine for lovers of classic cars. Fossil Cars blog is another blog all about classic cars. You can learn all about some of the best cars of the last century and have a great time while doing so. You can find posts dedicated to the history of the cars and to online listings for classic cars for sale. The Solar Electric Vehicle Team (SEVT) at MIT has created an awesome solar powered vehicle. This endeavour is interesting to follow, so you can join them as they document their journey on their blog. Should I also mention that their latest prototype looks awesome? Another student led initiative to create a solar-powered car: The Stanford Solar Car Project. It’s interesting to read how the technology is constantly involving and how this brilliant team of innovators keep pushing the boundaries of solar technology. 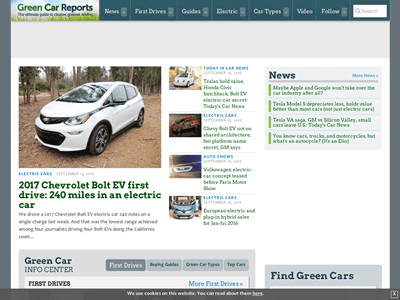 The Green Car Reports talks about everything related to green cars. The team at Green Car Reports cover events, new cars, general news, but only those cars that are eco friendly like hybrids, electric and even hydrogen powered cars. Do you like motorsport? Do you like classic cars cars? How about a blog dedicated to classic motorsport? It might sound too good to be true, but it is! 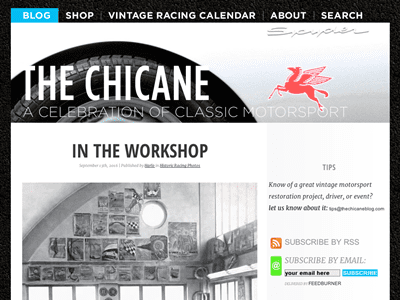 The Chicane Blog is just that: a blog creating in celebration of the classic motorsport. On the website you can find information on different events, including auctions and restoration of classic cars, as well as posts on classic cars. Gas2, a green car blog, is dedicated to everything green and cars. You can learn the latest news about hybrid cars and move on to read about biofuels, only to stop for a moment to read car hacks and DIY. 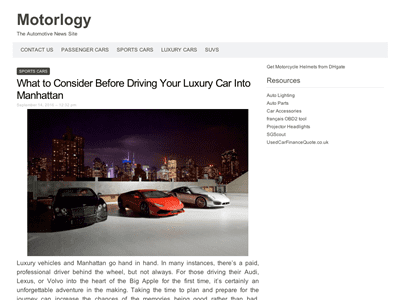 Celebrity Cars Blog is a blog solely about celebrity’s cars. If you are interested in what Ashton Kutcher is buying or maybe what are the tastes of Gordon Ramsey when it comes to cars, you will find your answers here. It is strangely addictive to read about who drives which car. 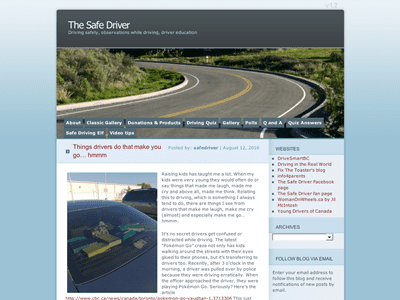 The Safe Driver is a blog all about teaching you how to drive properly so you won’t have any accidents and your passengers won’t be scared of driving with you. 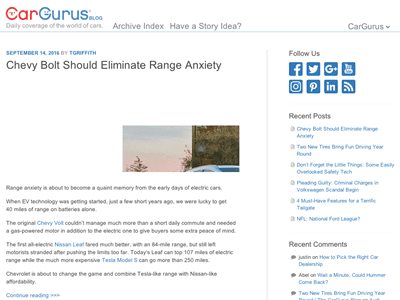 Scott Marshall is an expert in this matter, and his articles are not only informative, but also educational. TRED’s Test Drive Blog is an excellent resource for any driver. It is just a little bit more useful if you live in Seattle, because from time to time they talk about places you can visit there. The blog mostly focusses on selling and buying a car, making it an important resource for any car owner. 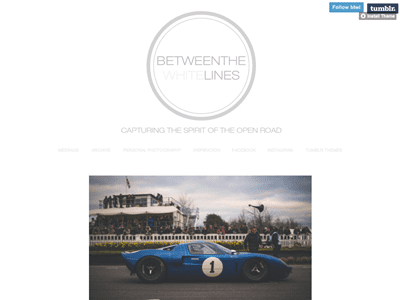 Between The White Lines is a blog where you can admire some of the most gorgeous car photographs on the internet. The stunning photographs are car and travel related. We could go on and on about how beautiful they are, but you have to see them to believe it. Every car enthusiast loves exotic cars. Fulfill your desire for exotic cars at The Exotic Car List Blog. You can learn all about exotic cars while also filling yourself in on everything new happening in the industry. 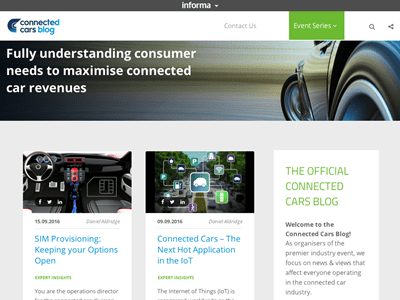 The Connected Cars World Blog is a blog related to the subject of connected cars and connectivity for cars. It is an informative resource to learn about the future of transportation and how the technology is growing rapidly every day. The Weekly Driver is a car blog dedicated to the automotive industry. 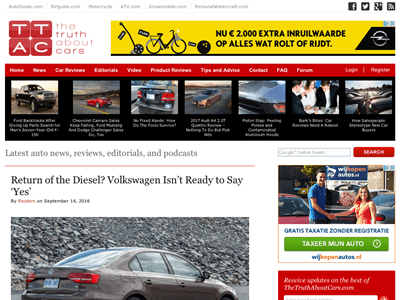 They cover car news, reviews and celebrity car news. They also have sections devoted to used cars, and convertibles.